Just messing around with Ello tonight and thought I’d share my thoughts on this hip new social network. 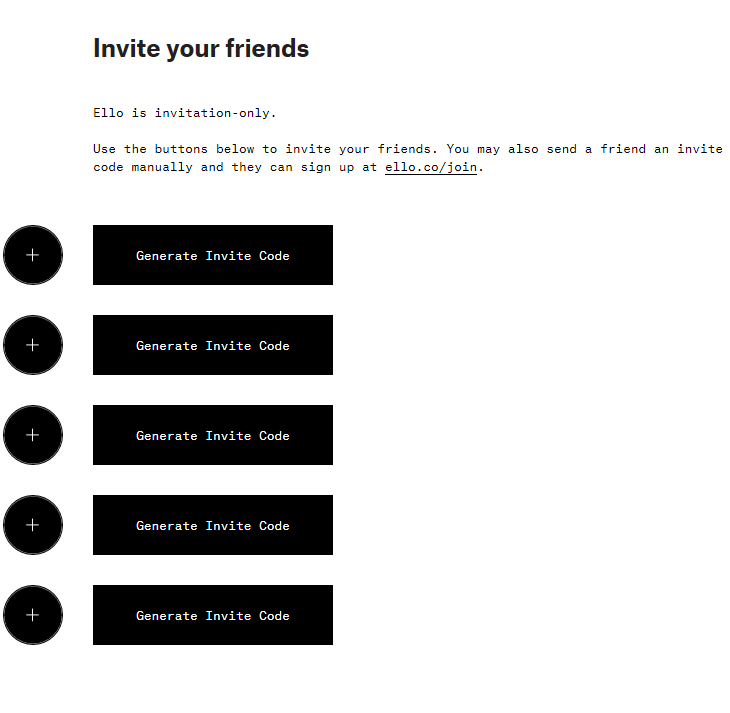 Note: I do have a few Ello invite codes left so hit me up if you are interested. The on-boarding process is unique with the fact that it is invite only. They are definitely going with the whole scarcity principle by shutting off signups yesterday and remaining invite only for the foreseeable future. The signup process was super easy. Tons of great usernames are still available. I just went with the standard first name / last name for personal branding reasons. After signing up, you are taken to what can be described as the home page. A nice little message and some cryptic buttons which I get to later. From there I filled out my profile via settings page. Do-follow link in the profile? Check. 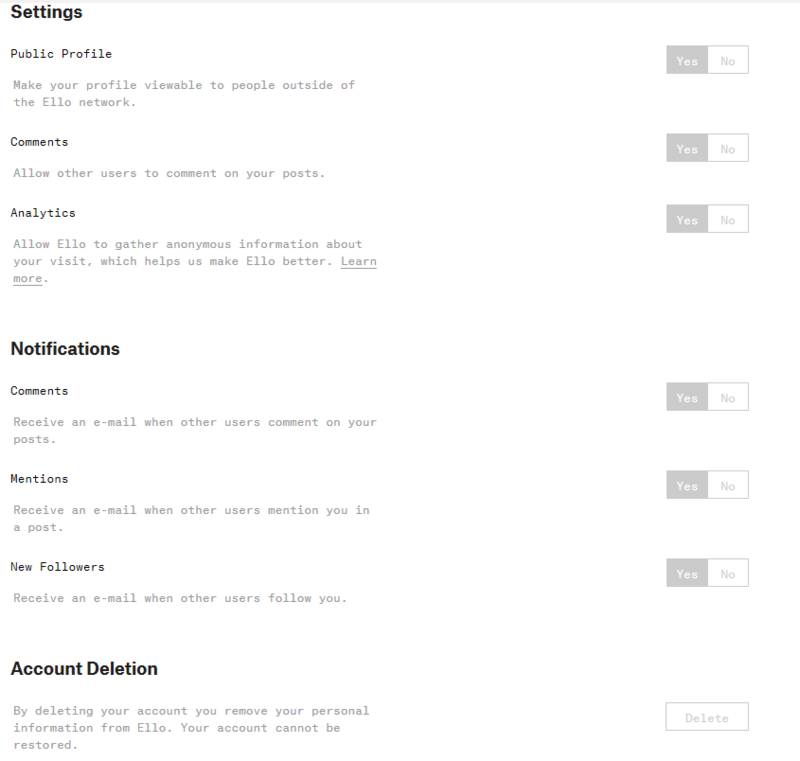 The settings page can be described as SEO friendly in the fact that you can make your profile viewable outside of Ello. One thing I think lots of folks are going to love is the account deletion process. A button right on the profile page. Go figure. To my surprise, all links appear to be do-follow. Honestly I don’t see that as a good thing. 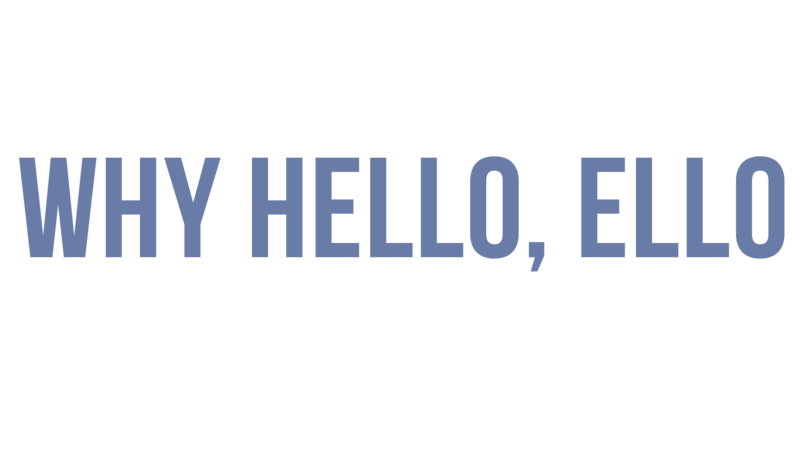 I like some SEO juice just as much the next guy, but as soon as the spammers figure this out they will make some post about how Ello is the key to huge SEO success and sell a system for $99.97. Anyway, moving on. Inviting others is easy. They seem to give everyone at least 5 invites. This can easily be gamed by inviting other email addresses you own and getting 4 more invites each time. Whatever. Profiles are indexed in Google, and a good amount of them have been indexed so far. Even more interesting, individual posts within profiles seem to be indexing in Google as well. A tad slower than the profiles or less prominently, and maybe not as fast as Google+ posts, but they are indexing. 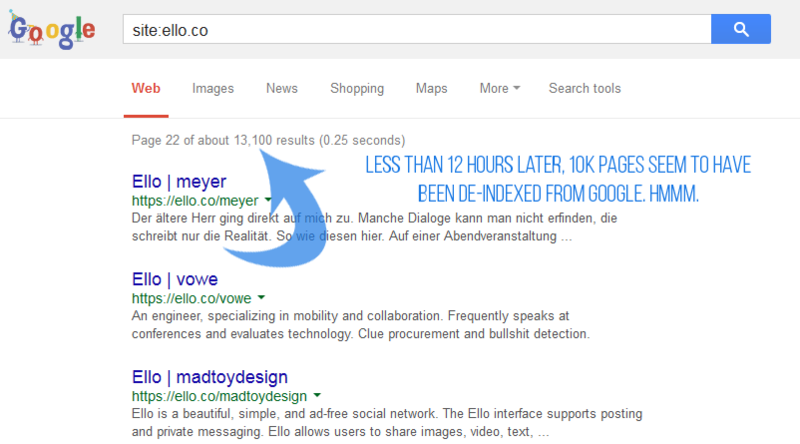 It appears as though Google has deindexed a few ten thousand or so of Ello’s pages. I haven’t done any deep crawling, this is only from a search query but something definitely seems up. Update #2 – 9/28/2014 2:00AM – back up to about 25,000 results thanks to Mr. Traphagen. 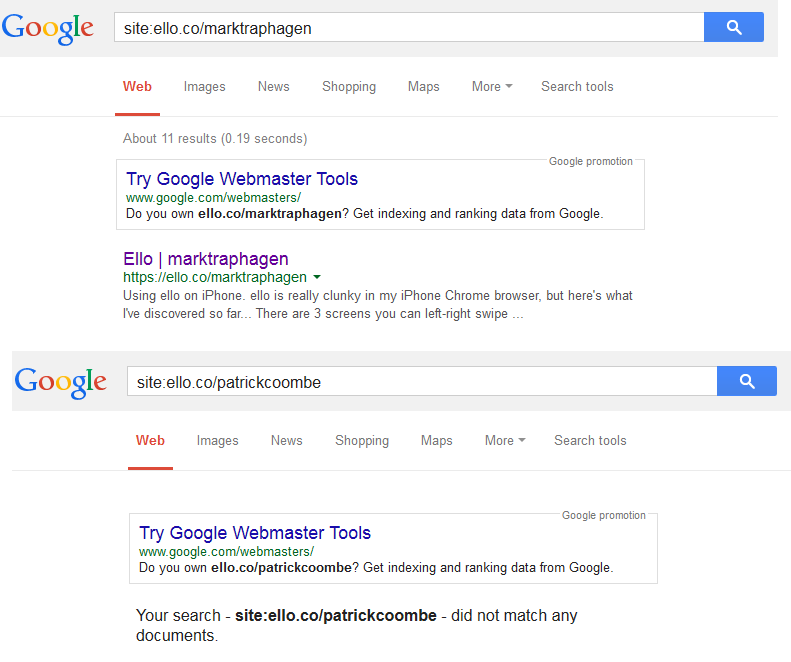 Looks like Mark’s profile (and quite a few of his posts) have been indexed in Google, no luck for mine yet. I linked my Ello profile in G+ to help speed things along, we’ll see what happens. 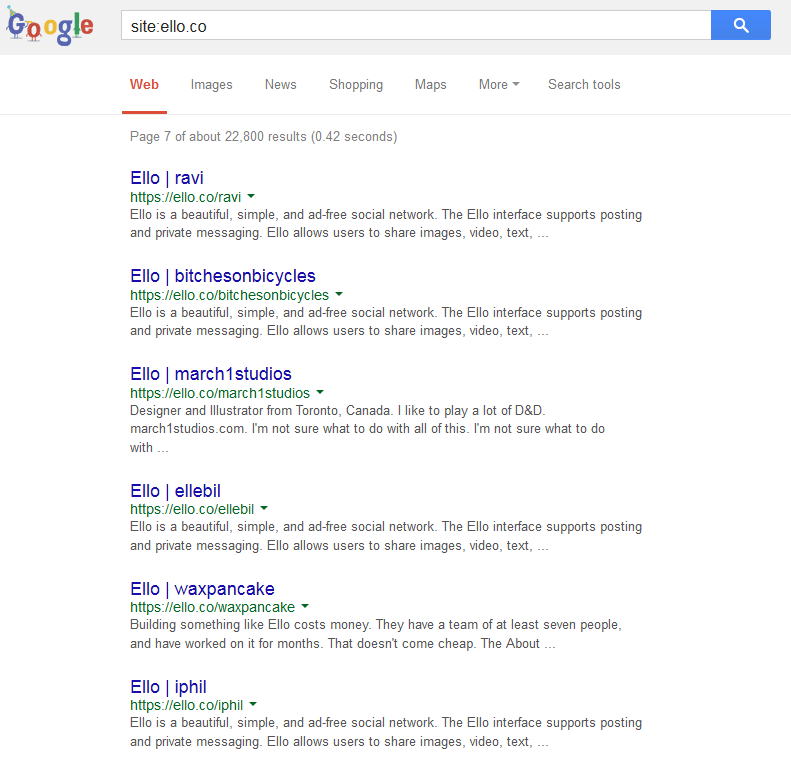 Ok I did a little crawling around with Screaming Frog just to check the SEO friendliness of Ello itself. There are still lots of things to fix. 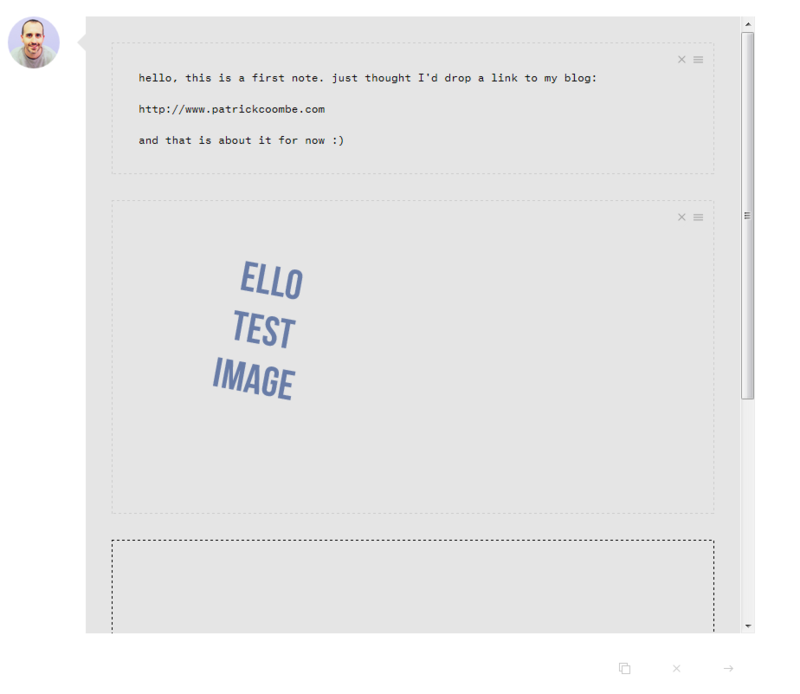 I’ve been playing around with Ello tonight for a while tonight. While doing some test posts, I noticed (permalink here) the post editor highlighted part of the anchor text, but only anchored some of the words, but underlined the rest of it with no hyperlink. 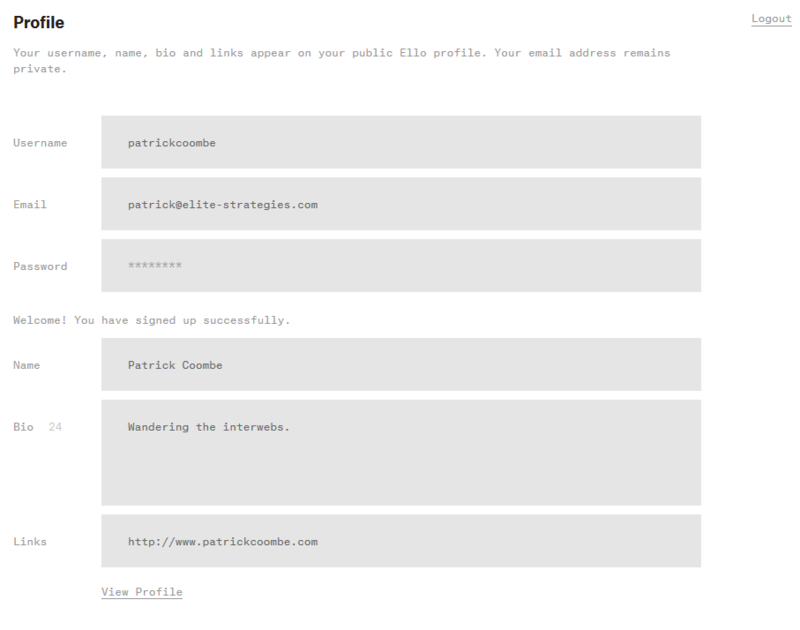 Check anchor text “and even do anchor text” from the permalink. I’m sure this is just a small code glitch but I’ve noticed a ton of these errors. Also each refresh counts as a view? 99 F5’s = 99 views. Gotta do something about that Ello. 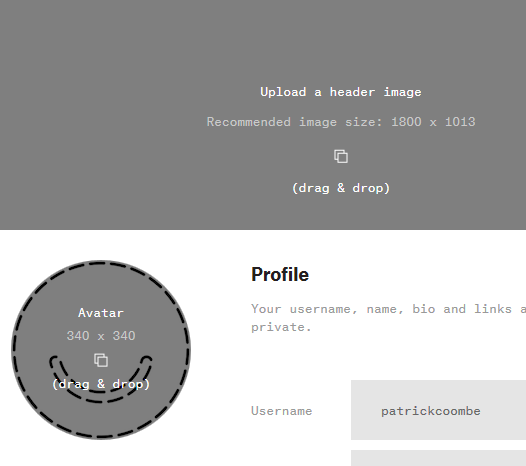 Update: just noticed Ello does not like the custom transparent PNG I just whipped up. Not sure if they are doing some sort of compression algo or not, but that ain’t good. Also I tried making a post. The buttons were a tad confusing from a UX perspective. I fumbled around for a few seconds and manged to get an image uploaded, but still had some confusion seeing some empty boxes with un-labeled symbols etc. I ignored them and moved on. 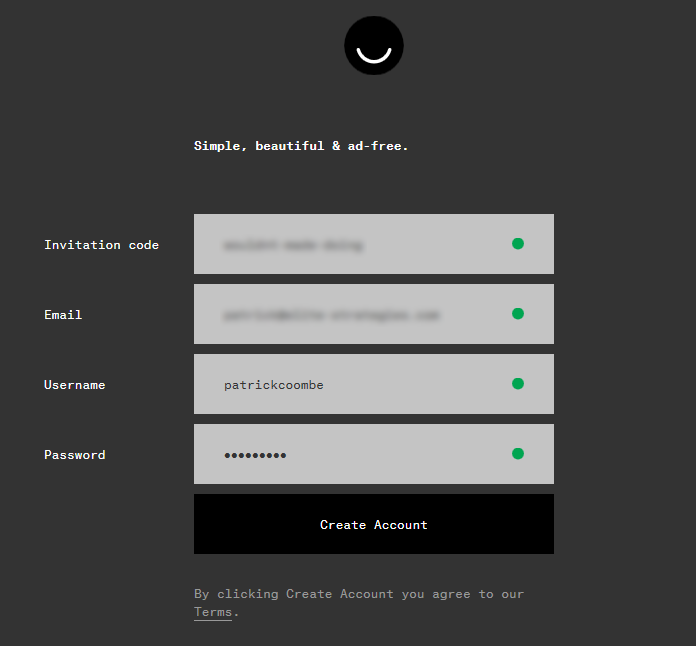 I was curious what Ello would call connections. At first I saw the whole friends vs noise things, but then I just realized there are some places they call them friends, other places it is followers. Overall I’d categorize this in the “nifty” category. I do like whole privacy philosophy and kind of like the friends vs noise deal. Not having ads is cool and I always root for the underdog. I also love to see competition for Google+. 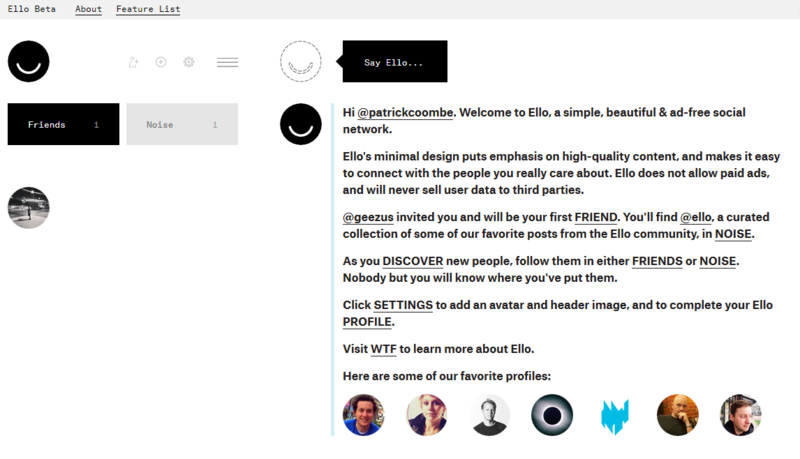 Somehow Ello managed to grab the attention of the masses. I found myself digging into the underbelly of the web to find an invite code just to have a peek under the hood. 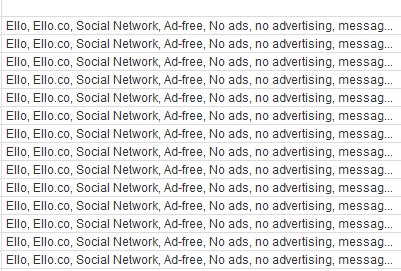 I don’t hear people complaining about Facebook ads, or privacy for that matter. Sure people make a huge stink about it in the media because they can, but when I see my friends and family (who all talk about the internet and social media) hardly anyone ever talks about social network privacy etc. Same thing with ads. I don’t even use an ad blocker. I could if I wanted to, but ads just don’t bother me enough for me to switch my social network. But don’t get me wrong, I am a sheep when it comes to social networks. I go where the masses are. I want exposure. I want opportunity. I want to be heard. 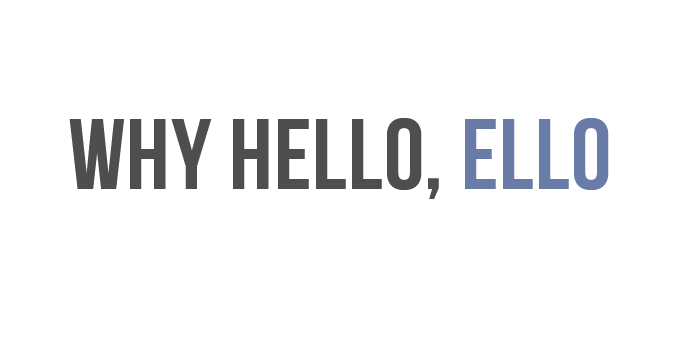 That might mean Ello, that might mean I just stay on Twitter, Facebook and Google+. Would I use it? I’m still not sure. I’m gonna play with it a little more over the next few days and see what happens. Peace.